I am back! With some really ordinary brownies. I did look thoughtfully into the middle distance for a while over the idea of making something that really said “it’s a new year!” in a jazz-handsy kind of way, but I didn’t really have it in me, and also wanted brownies. In the same way that every person is the lead character in their own story that they’re living – if that makes sense? – January is still just another month that happens to have danced around to the front. I guess what I’m saying is…brownies! They’re not surprising, but they are excellent. That said, I enjoyed having the opportunity to reflect upon 2013 and think about what I want to achieve in 2014 (besides just being like “whoaaaaa it’s 2014 the movie Practical Magic is sixteen years old”) and to gather together my intentions and so on. Without loading too much pressure on myself, since no-one needs that. More just things like…I want to pay attention to the phases of the moon, and read even more books written by women this year, and cook more proactively than reactively, and learn lots of new words and their meanings…and on a more specific level, I would also like this year to bring Lorde-levels of spectacular fame and success for my cookbook and me, for my wedding at the end of June to be fun and not financially whimper-making, and – sigh – to be way tidier. So, a little bit of pressure, I guess. 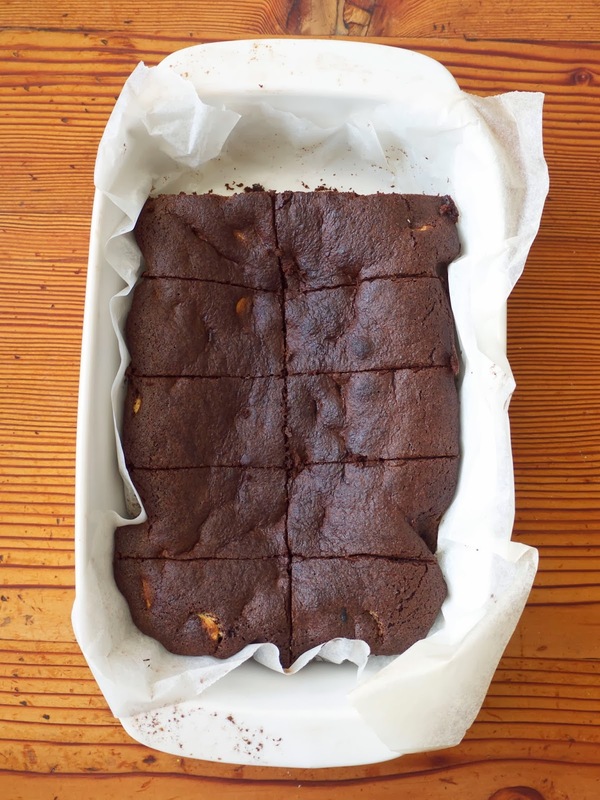 Despite my complete underselling of these brownies (great food blogging, Laura) they are of course delicious and are going to help me beat the back-to-school blues when I take them for lunch with me to work every day. This is something I’ve done before, but never quite sustain it for very long – hopefully this year I can be more (as I said above) proactive rather than reactive in the kitchen. What better way to start the year than under the velvety influence of my queen Nigella Lawson, whose cookbook Kitchen is where this recipe comes from. She charmingly calls them Everyday Brownies, which, given that the 75g cocoa she specifies is nearly a cupful, says a lot about the quality of her days. 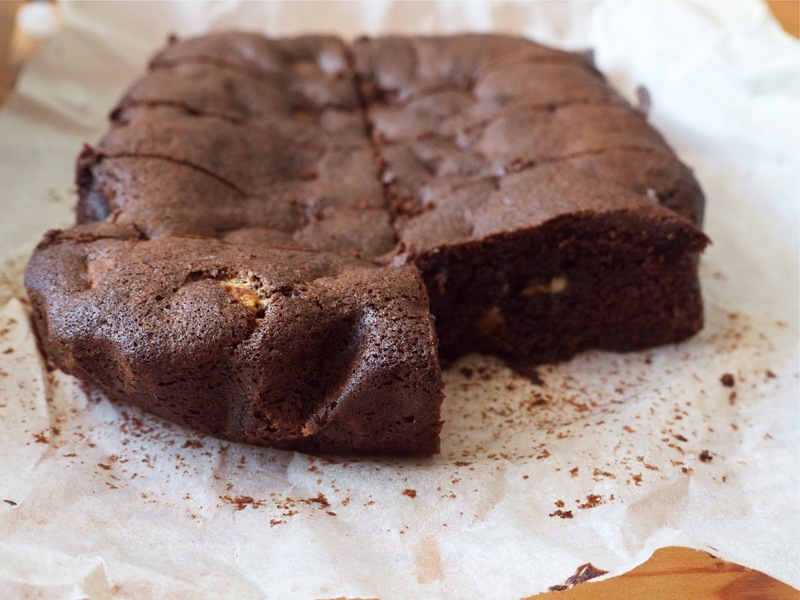 But like all brownies should be, they are reassuringly easy to make, taste brilliant, keep for ages, and will probably help embiggen your day somewhat should you be eating them on your lunch break too. From Nigella Lawson’s book Kitchen. Preheat the oven to 190C, and line a 25cmx25cm (or thereabouts) baking dish with baking paper. Melt the butter, and stir in the sugar. Sift in the cocoa powder, flour, baking soda and salt – cocoa tends to be lumpy, and baking soda is no fun to get a mouthful of, so sifting really is useful here. Add the eggs, vanilla, and chocolate, then stir, and scrape into your baking tin and bake for approximately 20-25 minutes. 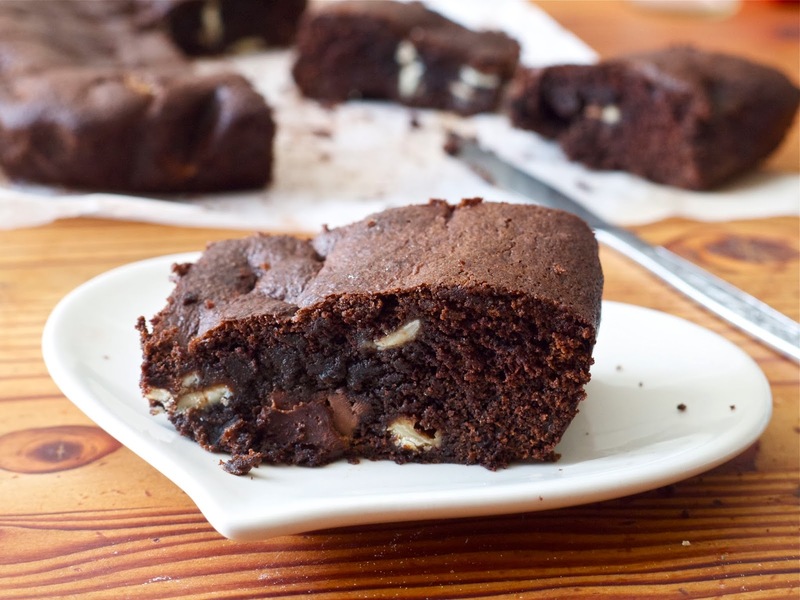 It depends on what you’re into, but brownies tend to be better when they’re a bit undercooked, so don’t worry if everything’s wobbly on top when you take it out of the oven. I hope that the 13 changing to a 14 has seen good times for you all. I had a really nice xmas at home with my family (including – one of whom is pictured above – the two truculent cats who eventually acknowledged my presence after an enormous loss of dignity on my behalf), and read, and knitted, and that was about it really. Then, camping. I’ve been camping at this one place with my family since I was six months old (am still about as useful at helping to put up the tents now as I was back then) and it was a joy to be there again for a few days. A freezing, rained-upon, mosquito-bitten joy. I did, however, manage to read The Luminaries in 48 hours, and it was worth every last mosquito bite to be able to do that. This place is so tightly knitted and purled into my life that it seems like the most beautiful land on earth. Oh! One more thing: I’ve had fun contributing to Radio New Zealand’s Summer Nights programme. I completely love public speaking, so it was super cool to be broadcasting live to air on Monday when I was last there – if you want to listen to them there are audios available at Radio New Zealand’s website. Presuming you’ve made it to here while reading this, it’s not implausible that you could handle more? title from: Nina Simone, Feeling Good. While up at home I saw her performance at Montreux in 1976 played on TV, she was sublime. I love her so much. St Vincent, Cheerleader. Annie Clark of St Vincent is such a dreamboat and I love how this song is so stormy and dreamy. Also, rather cool name she’s chosen to perform under, hey? Speaking of dreamy, I danced to Beyonce’s euphoric song XO on New Year’s Eve and it was…um. Dreamy. Guess I should’ve put “diversity of adjectives” on my xmas wish list. next time: no idea but I’ve done the groceries so it will be more than just an instagram of marmite on toast or a handful of chocolate buttons. Promise. 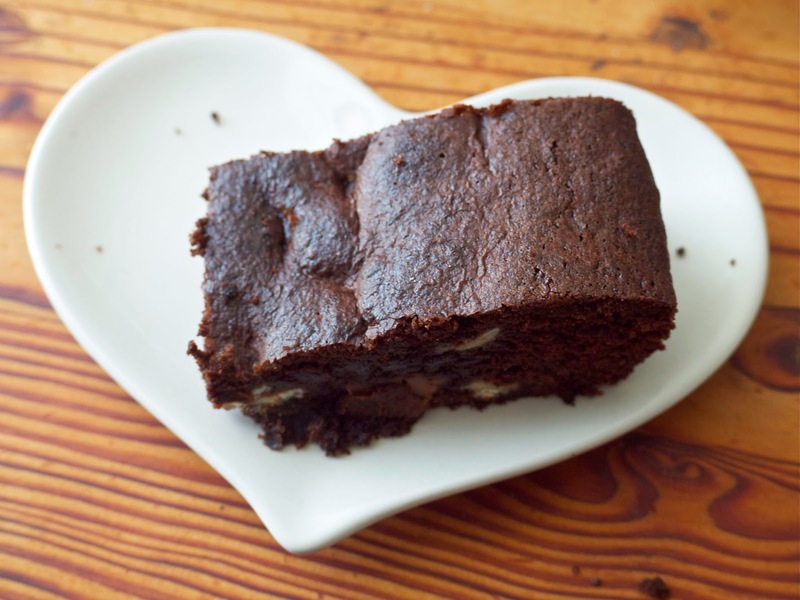 Often, everyday brownies are the best kind of brownies. I mean, a brownie a day pretty much HAS to make you happy. They look good! Not crazy-rich but properly chocolatey. I too go through phases of making a dessert for the week, or granola bars or something, and then just not. I like the weeks with dessert so much more. Can't believe NZ's landscape is uninteresting to you, it fascinates me from afar, and I HOPE I can travel with the sole purpose of taking in its splendor some day! But you be bored with it in the meantime for me plz.